While logged into a WordPress.com account on the app, I try to update my email address to one that's used on a different WordPress.com account. 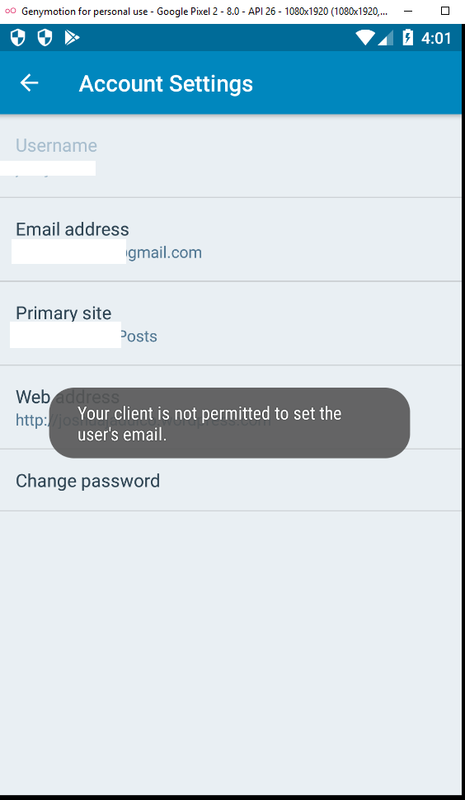 I expect to get an error which explains the email address is already being used on another account. I get the error "Could not save your account settings". You'll need two WordPress.com accounts to test. Logged into account #1, go to Me > Account Settings and tap Email. 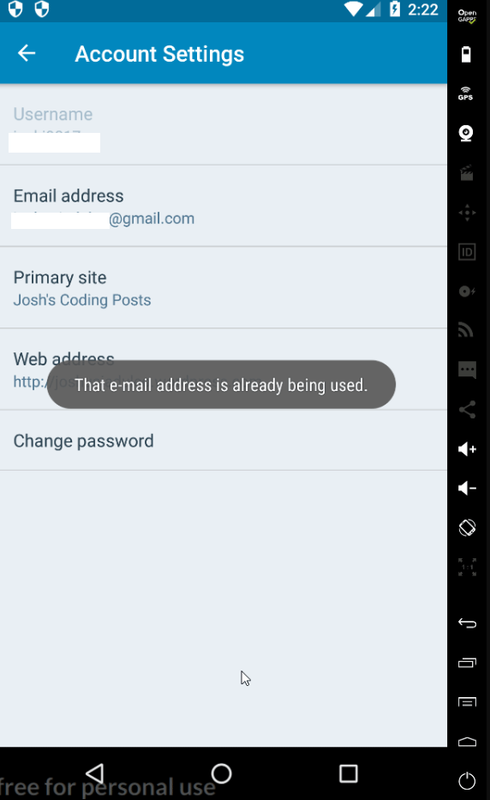 Change the email address to the email address associated with account #2. 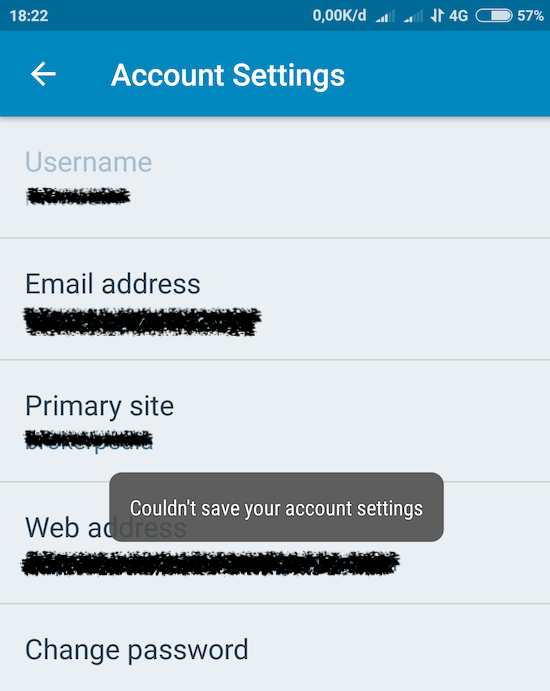 See the "Could not save your account settings" error. Mind if I take a look at this issue? @rachelmcr Thank you very much! I have hit a dead end for finding a solution to this problem but with that PR I might be able to solve it properly. Thanks for the update! Sorry for not catching earlier that this would be a tricky one to work on. Since WordPress uses FluxC for handling network requests, it has a specific function for returning corresponding error messages. This is definitely the approach we want to take here, since there could be other reasons for a failed update (e.g. entering an invalid email address). Are you comfortable opening a PR to make that change despite not being able to verify the error message in your dev build? During the PR review, your reviewer can use the production keys to test the change and verify the message that's returned. @rachelmcr I would push a PR later today for this one, thank you for encouraging it!